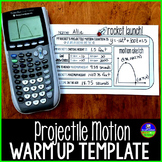 A fun foldable to teach modeling projectile motion with quadratics. 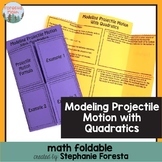 The foldable introduces the quadratic equation to use to model projectile motion and 3 word problems. 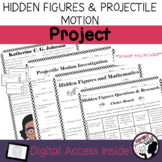 HSA-CED.A.1 This worksheet helps the students produce quadratic functions to solve projectile motion problems. There are two practice problems to go over with the class followed by problems for the students to complete individually or in pairs. 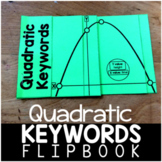 This quiz uses the vertex as the basis for graphing quadratics. Students must solve for the vertex and axis of symmetry as well as domain and range. 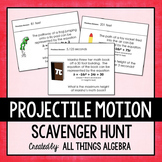 There are 2 project motion problems where solving for the vertex will solve the problem. 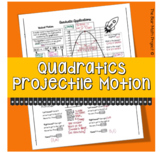 I created a one page reference sheet to help students connect quadratics to graphs of vertical motion. Notes use one example of a rocket taking off and landing. the graph and equation is given. 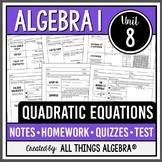 Walk through what the parts of the equation and graph mean using these guided notes. 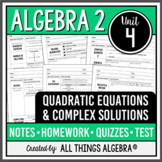 Steps are included for finding the VERTEX and ZEROS in the TI-84! 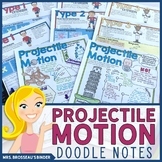 Applications of Quadratics Guided Notes & Practice: Projectile Motion! 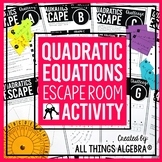 This is a great way for teachers to incorporate interest into a Quadratic Formula Lesson. 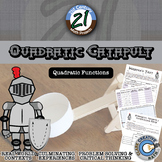 Students must use the quadratic formula to answer a series of questions, graph the projectile motion of the football, and determine if the football would clear a goal post.